Radon mitigation in Madison is a growing service. In fact, more homeowners than ever before are investing in their health by testing for radon gas and ultimately installing a radon mitigation system. Lifetime Radon has been serving homeowners and property owners alike in Wisconsin for more than 20 years with radon related services like custom radon mitigation system installation and radon testing. Moreover, radon mitigation in Madison has been a major part of the Lifetime Radon Mitigation company growth over the last 20 years. In addition to traditional, residential radon system installation, our team of certified radon professionals also installs new construction radon mitigation systems and commercial radon mitigation systems. Most new construction builders in the Madison area are now installing radon mitigation systems in their homes during the building process in order to improve the indoor air quality and aesthetics of the property for new homeowners. 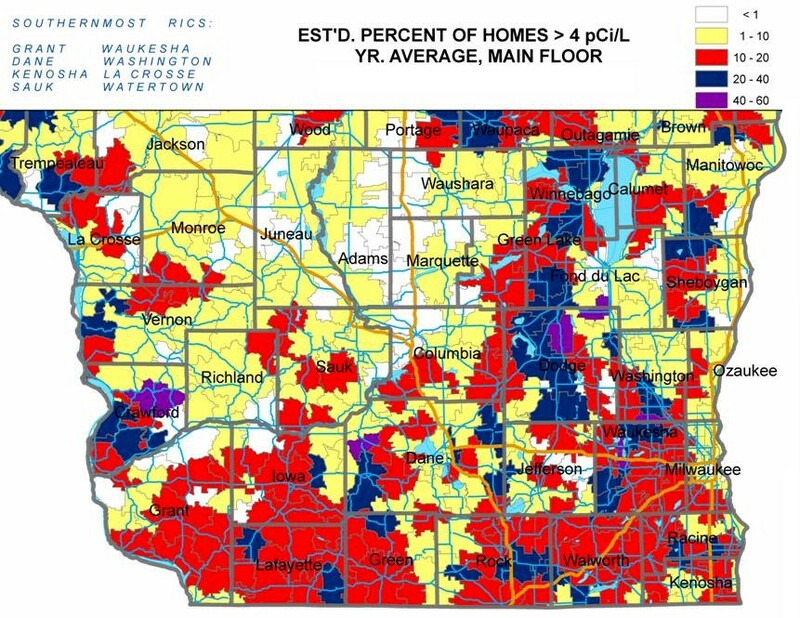 Wisconsin is considered to be at a high to moderate risk for elevated levels of radon in indoor living spaces. There are many factors that play into this risk. In fact, so many factors, that it is truly impossible to know whether or not your home or business has a radon issue without implementing a proper radon test. Lifetime Radon Mitigation Madison can help you test your home or business for elevated levels of radon gas, and if needed, install a radon mitigation system in your home to properly remediate radon from beneath your home or commercial property. Radon testing in Madison is very reasonably priced and can be handled within the price range of $25-$150 depending on the type of test implemented. Furthermore, if a radon mitigation system in Madison is needed, Lifetime Radon Mitigation can custom design a system for your home or commercial property as well. For more information, or for specific pricing regarding a custom radon mitigation system for your property, call Lifetime Radon today! Who is Lifetime Radon Mitigation in Madison? Lifetime Radon Mitigation in Madison is the fastest growing Madison area radon mitigation and radon testing company. 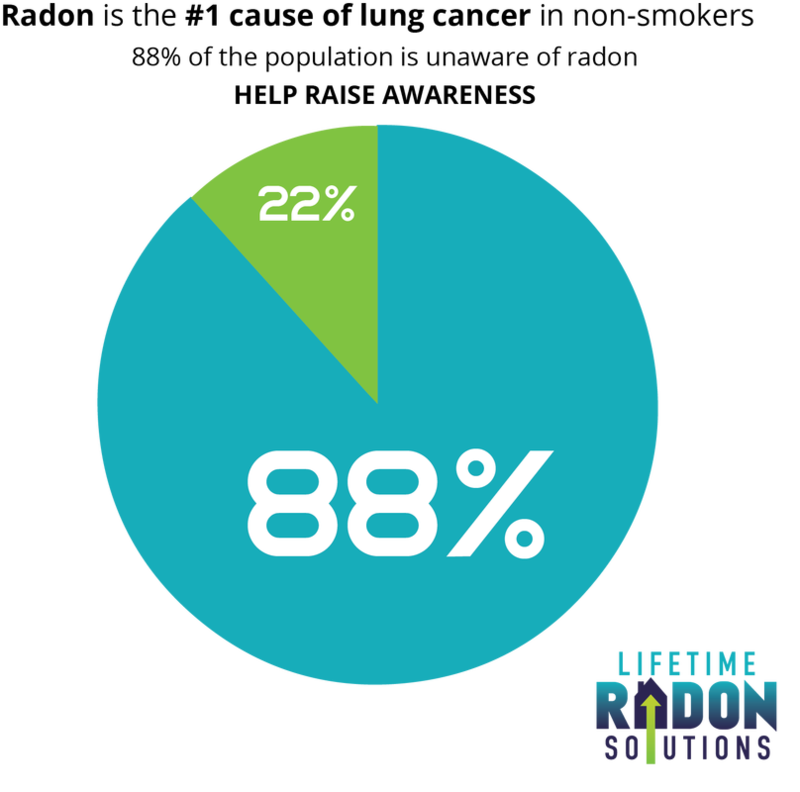 Founded in 1998 in Delafield, WI Lifetime Radon Solutions, Inc. is family owned and operated. With more than 35 years of combined radon mitigation installation experience among our technicians, Lifetime Radon has some of the most experienced radon technicians and installers in Wisconsin. We specialize in residential radon mitigation systems, residential radon testing, real-estate related radon services, new construction radon mitigation, commercial radon mitigation and testing and HUD/multi-family radon testing and installation. In addition to radon related services, Lifetime Radon Mitigation Madison specializes in VOC mitigation, vapor intrusion mitigation, and other residential and commercial soil gas mitigation services. Lifetime Radon Solutions, Inc. is a registered member of AARST (American Association of Radon Science Technologists) and our installers are trained and registered through the NRPP (National Radon Proficiency Program). We pride ourselves on having phenomenal customer care, exceptional workmanship and design, the best warranties in the business, and extremely competitive pricing. What Does Lifetime Radon Mitigation in Madison Offer? Lifetime Radon Mitigation Madison offers a wide range of radon related services as well as other soil gas mitigation services. In regard to radon related services, we specialize in radon mitigation, radon testing, radon resistant new construction and crawlspace encapsulation. In addition to our radon related services, our team has experience working on VOC mitigation and vapor intrusion mitigation systems as well. From a commercial perspective to a residential real-estate transaction, and everything in-between, Lifetime Radon Solutions, Inc has experience with all of your soil gas mitigation needs. Furthermore, beyond just our services offered is the care and service that we offer both our customers and other professionals in the Madison area. We have a growing team allowing us to serve customers immediately and effectively and further allowing the work to be completed in the timely manner demanded by many of today's real-estate transactions. Lifetime Radon Solutions, Inc. in Madison, Wisconsin is the premier radon mitigation and radon testing company of your local Madison area. We service all of Wisconsin from either our home office in Delafield, WI or our satellite locations in Madison, Appleton and Fond du Lac. Listed below are some common Madison service areas! As previously mentioned, Lifetime Radon Solutions, Inc. was founded in Delafield, Wisconsin which is set just between Milwaukee and Madison. As our business has grown over the last 20 years, Milwaukee and Madison have become larger, centralized locations for our work and ultimately our marketshare. Today, we service all of Wisconsin and Minnesota for residential work and offer our commercial services in all 50 states. Our main office and warehouse is located in Delafield and our two main satellite locations for Wisconsin are in Madison and Fond du Lac. Our Madison area radon technicians service everything in Madison and Dane County as well as surrounding Green County, Iowa County, Lafayette County, Sauk County, Columbia County and Richland County. Additionally, our Madison area personnel service La Crosse for radon mitigation as well as other surrounding cities along the Mississippi River. If you have any questions about our Madison radon mitigation or radon testing servicing area, feel free to reach out to our office via phone or by email. Furthermore, if you are located anywhere west of Madison in Wisconsin, our Madison area radon mitigation team will most likely be the technicians to service your home or small business! Why Should You Consider Radon Mitigation and Radon Testing in Madison? 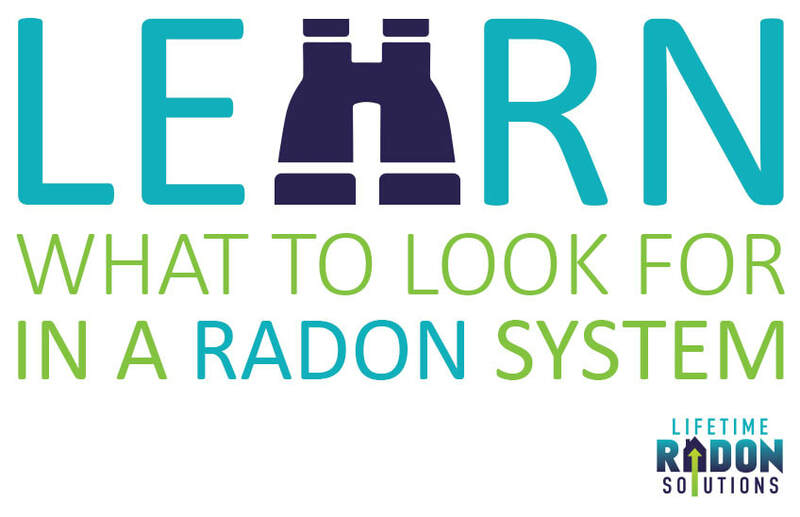 A common misconception is that radon is either "there" or it isn't. That is certainly not the case. Radon is actually present in every home. In fact, it is present everywhere around us. What is important, however, is to measure and understand the levels at which radon is present within your home or business. This is precisely why radon testing is so important. The EPA and Surgeon General suggest that no matter where you live, it is extremely important to test for elevated levels of radon because it is the #1 cause of lung cancer in non-smokers. They go on further to say that you should continue to test your home for radon every two years in case new entry points arise or your home's foundation settles or shifts. In the event that your home or business tests between 2.0 pCi/L and 3.9 pCi/L, the EPA suggests that you consider radon mitigation services. In fact, the World Health Organization sets their action level for radon remediation at 2.7 pCi/L. Moreover, the EPA standard, and the action level most commonly accepted in the United States, is 4.0 pCi/L. This means, that if your home tests at or above 4.0 pCi/L, the EPA and Surgeon General highly recommend that you install a radon mitigation system. For more information concerning the importance of radon testing or radon mitigation, or for any other questions regarding radon at all, contact Lifetime Radon Mitigation Madison today!